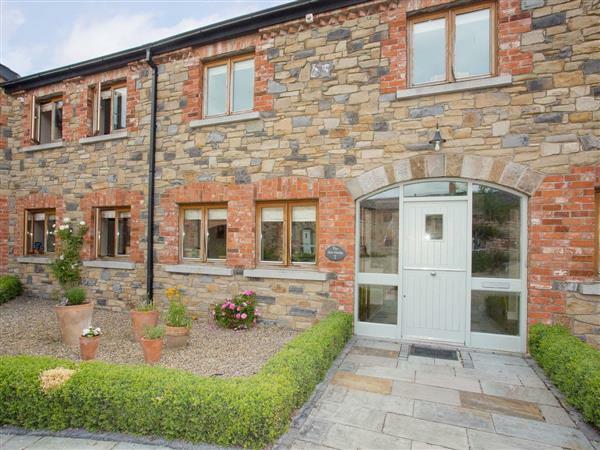 The Hen House at Decoy Country Cottages in Navan sleeps 4 people. 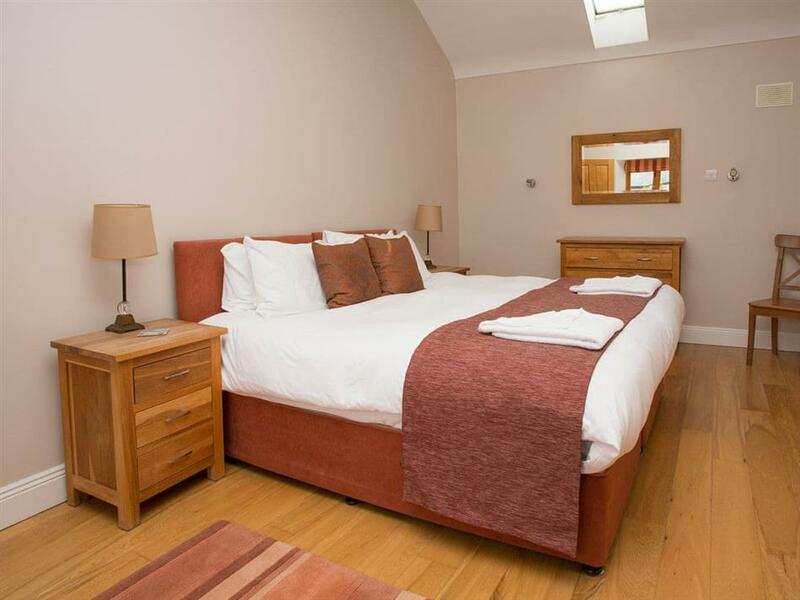 Decoy Country Cottages in Navan is located in the beautiful and historic Boyne Valley; Decoy Country Cottages are a selective holiday destination in a very attractive courtyard setting. The terraced properties (refs W32348 [The Coach House], W32349 [The Tack Room] and W32350) are located in rolling countryside just 5 miles from Navan and 90 miles from Belfast, making the location central and convenient to a wide variety of tourist destinations. The complex has eight cottages in total, and three are featured here. The cottages face a beautifully landscaped courtyard and there is an extensive and well-equipped children’s playground and barbecue area with patio area for outdoor relaxation, while The Den provides indoor entertainment and games. The properties are well located between the N2 and N3 national primary routes, within easy reach of many of Ireland’s most important historic and medieval sites. Also, there are several championship golf courses within easy reach including the Royal Tara, Killeen Castle, Baltray and Headford, while the beach is 25 minutes away. For those who wish to travel a little further afield, the cottages also serve as an excellent base to explore Dublin, the plains of Kildare (home of the Curragh racecourse), or perhaps the lakes of Westmeath where excellent fishing is available. You will find the beach within 20 miles of Decoy Country Cottages in Navan. And the shop & pub are 1½ miles from Decoy Country Cottages. The nearest restaurant is 4 miles. Living room 1: With wood burner, 26 Freeview TV, DVD player, CD player and wooden floor. Kitchen/dining room: Farmhouse style with electric oven, electric hob, microwave, fridge/freezer, dishwasher, washing machine, tumble dryer and tiled floor. All properties: Geothermal underfloor heating, electricity, bed linen, towels, Wi-Fi and fuel for multi-fuel burner and wood burners included. Cot, travel cot, highchair and stairgate available on request. Welcome pack. External games room with Playstation 3. Enclosed courtyard with patio, garden furniture and barbecue (shared with other properties on-site). Children’s play area (shared with other properties on-site). Bike store (shared with other properties on-site). Private parking for 1 car. No smoking. Holidays at The Hen House, Decoy Country Cottages run from Thursday to Thursday. Pets allowed at Decoy Country Cottages - The Hen House. For a better idea of where Decoy Country Cottages - The Hen House is, you can see Decoy Country Cottages - The Hen House on the map below. Do you want to holiday near Decoy Country Cottages - The Hen House (W32350), you can see other cottages within 25 miles of Decoy Country Cottages - The Hen House; have a look to find your perfect holiday location.